I begin this blog with as many questions as I have answers. I also realize the answers that I have now, will not be the answers I have next year, or next month or even next week. As more documents are examined, more books are read, and new contacts are made, this accumulation will need resorting and reinterpreting. So one year later, Shan and I have been doing our homework. This is a brief review of what we have read, people we have met, and what we have learned since that conference a year ago. We are hoping that you can help us discover even more family stories and documentation. Like many genealogists, we are interested in the historical and cultural contexts of peoples' lives, as well as their familial connection. Germans in Western Bohemia originally came from Bavaria where most of them were farmers. They were ethnic Germans who were settled along the borders by various Hapsburg powers. They are referred to as German-Bohemians (Deutsch-Böhmen), and are distinguished from Czech, Slovak and Moravian Bohemians. It is our hope that we can track the people from this parish to St. Paul in much the same way that Robert Paulson and other members of the German Bohemian Heritage Society (GBHS) have tracked their people to New Ulm, and Susan Muehlhaus-Karides' work on Egerland Böhmisch to Milwaukee. If we can do this, it will give us evidence of a "chain migration." We have joined the GBHS (German Bohemian Heritage Society). The organization was founded in 1984 by Robert Paulson for the purpose of gathering information about the immigration and culture of the ethnic German people from Bohemia to Minnesota. Their headquarters are in New Ulm, Minnesota. They do have a new, much improved, website. The site can be accessed (here). 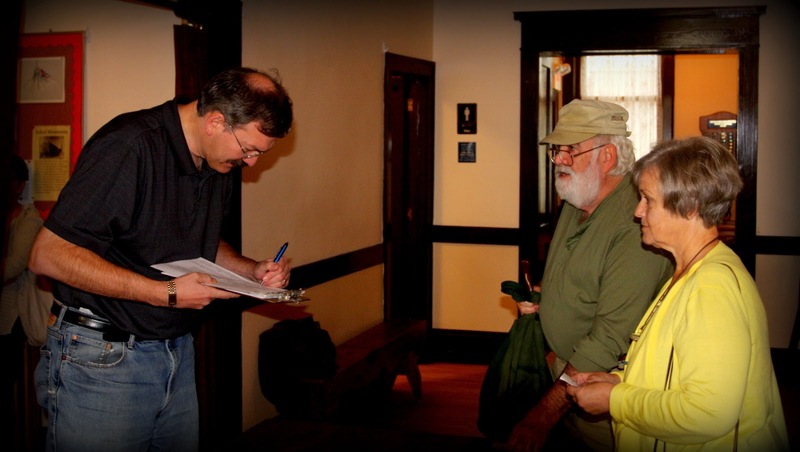 Our contact is Wade Olsen, editor of the German-Bohemian Heritage Society Newsletter. Wade is a frequent presenter at GBHS events. We also had a meeting with Robert (Bob) Paulson, founder, and currently Research Committee chair of the German-Bohemian Heritage Society (GBHS). Bob is generous to novice researchers and the acknowledged expert. The book German-Bohemians, The Quiet Immigrants was co-authored by LaVerne Ripley and Robert Paulson (1995, St Olaf College Press, MN). 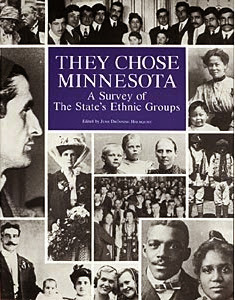 Most of the book is about the large immigrant population in the area of New Ulm, Minnesota, in the counties of Brown, Cottonwood, and Steele. Other German-Bohemian communities are discussed in this seminal text. In the Border People, I found the following quote interesting and helpful. "There was no single 'Böhmisch' way of life in America, because Böhmisch communities in the old world were border settlements. Each ancestral locale had been shaped by shifting winds of power. The German-Bohemian emigrants were classic border people, with one foot walking in each of two conflicting identities. Their home villages were close to the border between Bavaria and Bohemia. Some knew how to speak both Czech and German. Many had learned to change political and religious loyalties rapidly after a new landlord purchased or conquered their lands. Many were expert in bi-cultural commerce. Many traveled on the same ships, and settled in the same towns, as Czech-identified Bohemians who had lived in the neighboring old-world towns. Some were related to these Czechs by marriage. When they chose their new world homes, they were adept at fitting in. The texture of their community life reflected the realities of power and climate in their new settlements." 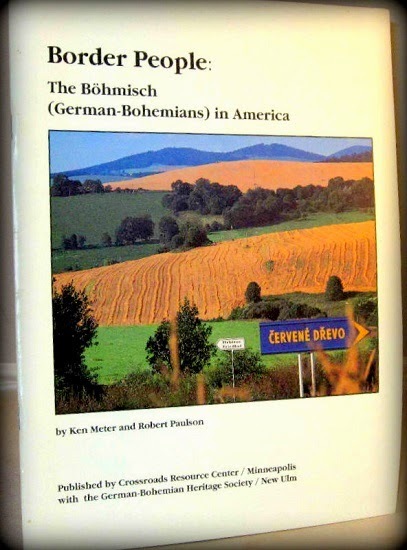 source: Meter, Ken and Robert Paulson, Border People : the Böhmisch (German-Bohemians) in America, Crossroads Resource Center in collaboration with the German-Bohemian Heritage Society, 1993. Again quoting Paulson, "As time went on, each of the German neighborhoods established its own Catholic Church. The largest concentration of German-Bohemians in St. Paul was in the 'Frogtown' neighborhood just north of the downtown business district. These German-Bohemians immigrated from small villages in the forested areas of Southwest Bohemia, the Böhmerwald (Sumava). There were many from the small village of Glockelberg (Zad Zavonka)." Source: Paulson, Robert, "German-Bohemian Immigration to North America", Heimatbrief: Stories of German-Bohemians, GBHS/Edinborough Press, 2013.
by Linda Therkelsen and Robert Paulson is worth reading. 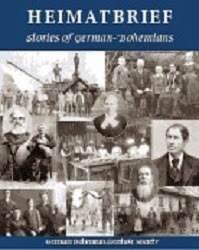 It appears in Heimatbrief: Stories of German-Bohemians, (GBHS/Edinborough Press, 2013) titled "German-Bohemian Immigration to St. Paul, Minnesota". They discuss the reasons for emigration and life in the new country with extensive coverage of the Frogtown community. 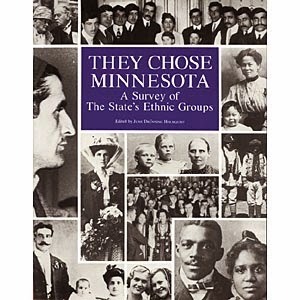 Another book we have consulted is They Chose Minnesota, edited by June D. Holmquist (MHS press, 1981) German-Bohemians are mentioned in the context of the over-all German migration to Minnesota. It appears that the value of this book to us may be it's substantial bibliography. In addition we maintain our membership in the CSGI. It offers excellent educational opportunities and a library. On October 24, 2014, we took a guided tour, sponsored by the Czech Genealogical Society International (CGSI), of the 'Saintly City' (St. Paul) exploring its Czech and German-Bohemian heritage. The guide for the tour was Jim Sazevich, 'The House Detective' aided by Linda Therkelsen "who have collectively spent more than a half-century studying Czech and German-Bohemian history in the state, and the city of St. Paul". source: "Tour of St. Paul's Bohemian Roots" CGSI web site. Robert Paulson, Linda Therkelsen and Robert Schuler have done research on St. Agnes. Church of St. Agnes, St. Paul, Minnesota: Ethnic Origins in Marriage Records, 1887-1897 (Park Genealogical Books, Roseville, Minnesota) Introduction and transcription by Linda Therkelsen. The History of the Church of St. Agnes 1897-1987 by Robert Schuler. Reading both of these records makes us think the family were not members of St. Agnes. 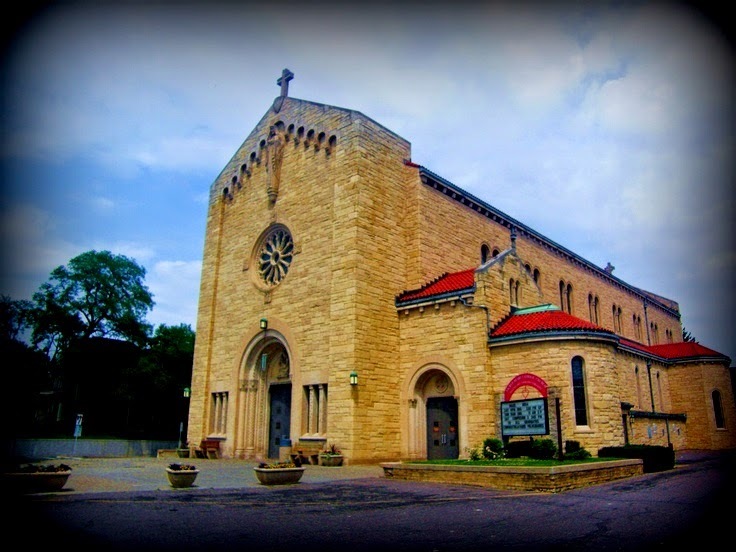 We need more research in Catholic Church Records for the three German Catholic churches in St. Paul; Assumption, Sacred Heart and St. Bernard's. I do know that members of the Schotl family, including my Grandmother Rose and my Schotl aunts and uncles, were members of the St. Bernard's Catholic Church in the Rice Street area of St. Paul. Some also attended St. Bernard's Catholic Elementary and High Schools connected to the church. The earliest records are in Assumption and we will attempt to get access. The Archdiocese of St. Paul usually does not allow the public to see their ministerial records so this may not be possible. What we would ultimately like to do is track Wassersuppen immigrants to St. Paul, similar to what we did to discover the Burgenland associations in Columbus Township in Anoka County. That was done with census records and supplemented with Ancestry searches. We already know that the immediate Kumschier family and in-laws represent five of the villages in the Wassersuppen Parish. Can we - with others help - account for all the immigrants from this valley to St. Paul? Could we compile a master list of sur-names from the villages similar to what Susan Muehlhaus -Karides did for her Egerlanders in Milwaukee? Stay tuned. After my grandfather Frank Schotl died in 1941, my grandmother Rose nee Kunshier Schotl purchased a house on Jackson Street in St. Paul. The house was small, no running water except for a pump at the kitchen sink. The outhouse was around the back. If you followed further down the path you would come to her large garden and the chicken house. She was pretty self-sufficient and like her German-Bohemian ancestors, she tended a garden, kept chickens, and a gaggle of geese. From what we have been reading, Rose, although born in America, would have fit right into village life in Neubäuhütten.